A sad bit of news today. 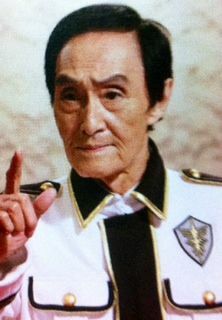 Veteran tokusatsu actor Toshiaki Nishizawa has passed away at age 77. Nishizawa is perhaps best known by toku fans for his lengthy role as Commander Qom in the first Metal Hero Series Uchuu Keiji Gavan and his continuation of that role in Uchuu Keiji Sharivan and Uchuu Keiji Shaider. True to his character Nishizawa even returned to play Commander Qom in the recent Uchuu Keiji Gavan The Movie.